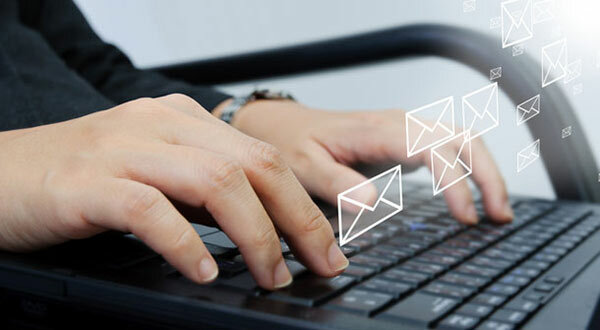 Here are few Email Marketing Tips for you. Email marketing can be a great way to build buzz for your business, website or blog. Email marketing campaigns can either be super successful if done well, or they can end up being a big bust with a few simple missteps. There are a lot of things that you can try to be sure that your email marketing is done the right way for maximum impact and great results. The following email marketing tips, tricks and secrets are definitely not exhaustive, but they can give your campaign the boost you need. Email is a great inexpensive way to promote, but it can also get you in a ton of trouble. Even if you aren’t a spammer, if you look like you are on the cusp of becoming one, it can be bad business. Make sure that anyone you are emailing has opted in and has a clear, easy way to opt out. Also, just because you have permission to email them for one business, doesn’t mean you automatically can send them marketing messages about your other enterprises as well. The marketing emails you send out need to be consistent with your brand. This means that you utilize the same logos, color schemes and style that you use on your website or blog. This way those who receive your messages will quickly and easily relate them to your brand or business, and you will be establishing your company’s consistency and reliability. More and more people aren’t checking out their computers and opting to use their mobile devices for surfing the web and reading emails. It is a great idea to have a mobile website so that these individuals can quickly and easily access your page with minimal effort on the go. It is an equally good idea to make sure that your emails can be viewed easily from these devices as well. The iPhone viewable space is less than a half of what you get from a computer monitor, so you should keep this in mind as you create your emails. If the message isn’t easily readable from the phone, it may not be read at all. While a slick images are probably a big part of your marketing, the odds are good that a big percentage of folks receiving your email won’t see it. Many email clients disable images for privacy reasons unless a user allows it, and if those receiving your email get a blank message, why would they select allow? Make sure that you provide descriptive text for all of the images in your email. Start with including the recipient’s name. From there, make your message as tailored to the recipient as possible. You could make sure that it includes their specific interests, locations and whatever other information you have on them. Not only will this probably lead to them being interested in more of what you have to offer, but people love personalization and this will probably make them love your business even more. Do you know more Email Marketing Tips? Share with us via comments below. How to Recover Lost or Forgotten MS Excel passwords.